This a great post and provides some invaluable advice to startups to ensure they recruit employees that will accelerate their performance and ultimately their profitable growth. There is nothing more important to your success than the team you out around you. However, I think this advice also applies to any size of business and what they should consider if they buy in to the fact that the people they employ deliver the results you will achieve, good or bad! At startups, we’re obsessed with growth hacks. We fantasize about becoming the next Airbnb by hacking Craigslist, or the next Dropbox by nailing referrals. But one growth hack I’ll challenge you on is recruiting. After product market fit, nothing is more important to growth than hiring the right people. The right people grow your startup exponentially - the wrong ones stunt growth. To get that exponential growth, you need a recruiting strategy that provides a steady pipeline of people ready to jump aboard when you post your jobs. 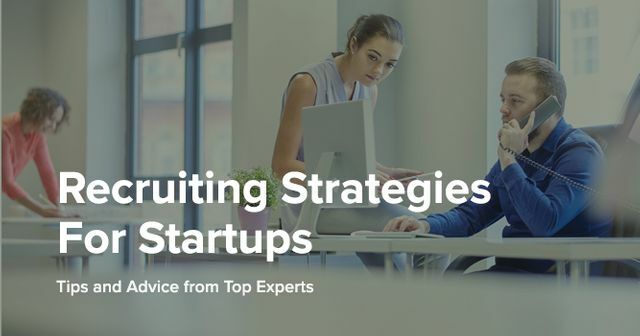 I've put together 19 tips to help you build a strategy that attracts the best talent and keeps your company top of mind for star recruits.